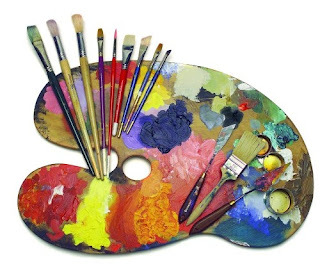 I put together a Pinterest page of resources for Art teachers. I'm still adding to it, but wanted to go ahead and share it. There is still much to consider and I'll be adding to it as I find relevant resources, but I hope that Art teachers will be able to start using what is there already. The Common Core is asking all teachers to be Literacy Support for students. If they can't read well, then everything they do will be more difficult. Those of us that are doing this work honor the fact that training in literacy may not have taken place in some of the content areas, thus we are providing as much relevant information as possible as this gets rolled out to teachers. To access the resources, CLICK HERE. I'll be adding additional Unit Plans / Lesson Plans and resources as I get them from teachers. Also, if you'd like to contribute to the Pinterest Page, please either message me your email address so I can add you as a contributor, or leave your email address in the comments below. I've only been using Pinterest for a short time, but the nature of it as a "Visual Curation Tool" was too difficult to ignore as the appropriate web tool for collecting/curating web resources around Art and the Common Core. If you haven't experienced Pinterest yet, I encourage you to give it a go. It has a lot of implications for curating and amplifying information for teachers AND students! Follow Mike on Twitter for even more resources! As an art teacher, I have always incorporated into my lessons art history, world cultures, and the common bond artists across the millenium have shared. As an opponent of Common Core, I can see no advantage to having it creep into the art experience. Common Core is a government over-reach of epic proportions which will not enhance art programs, but will rather stifle the teachers, as well as the students. The Common Core wants uniformity, not diversity, and is the antithesis of individual creativity. I hope you will do more research before you encourage others to swallow this Kool-Aid. Most opponents of the Common Core have similar sentiments. I've found though that those who oppose it the most have little experience with it or cast it aside without examination beyond surface layers or heresay on social media. The Common Core is very similar to previous state standards, and its umbrella practices are predicated on critical and creative thinking. I can understand the case being made for uniformity, but that's only at the base level of the standard. Any good teacher will help students move beyond that barometer--into independent thinking and creative choices. If that's not coming across in my blog post, I apologize. While I'm advocating for independent thought and creativity, I'm also strongly advocating for every teacher to see themselves as teachers of literacy, in any form: media, digital, global, informational, etc. Also--while the federal government stuck its nose in with funding around the Common Core for states to adopt it, it was actually created by a consortium of states...not the federal government. As for research, you're welcome to see if the four books I've written about the Common Core support the research necessary to make and distribute Kool-Aid.